Valentines day is really only about romantic love and over priced flowers were we live, and as such it is not really my thing. Every now and then I wish we celebrated love in a broader sense. You know, things like the awesomeness of the a good friend, or the love you’d like your kids to express to each other. If Valentines day encouraged those kinds of things, then I could totally get into it. So I’m taking the bull by the horns and making Valentines day more than just a day that makes you feel bad if you don’t have a partner and I’m encouraging you all to share the love… whatever type of love that may be! My cunning plan is to leave a special little treat in my kids’ lunch boxes sometime next week. A little something for each of them that I know they love, something they would not usually get…. and I’m going to pop them in these print and fold boxes. 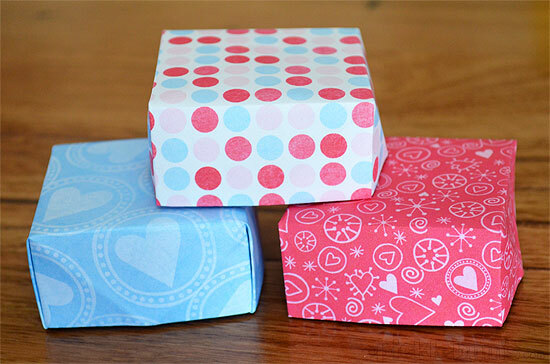 These print and fold boxes are smaller than the Christmas boxes I shared a few years back, which means they are perfect for a small treat, or a special gift. Being small also means that they can be printed on regular paper and still hold up well. 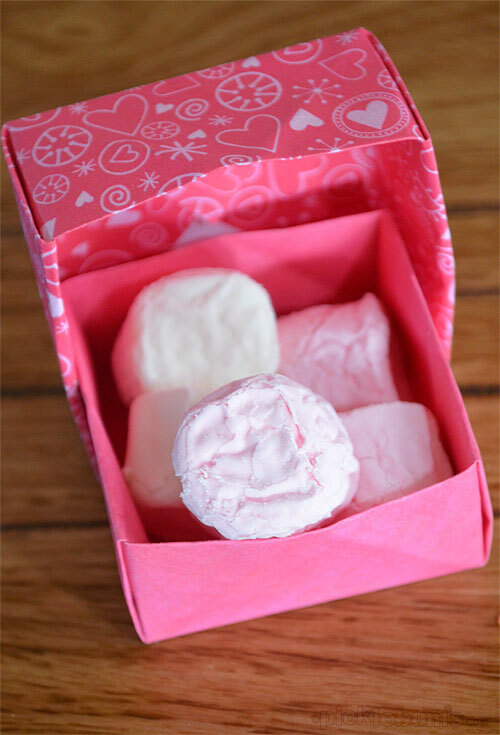 You can download the Love Boxes pdf file here. The pdf includes the top and bottom templates and a choice of three designs for the top and three designs for the bottom of the boxes so you can mix and match. There are instructions on each page, but basically print the template for the top of the box, then turn it over, choose a design for the top of your box and print that on the other side. Follow the same steps for the bottom of your box, cut out the squares and you are ready to fold. Then just pop in a little something special and share the love…. Totally agree about Valentine’s day – it seems pretty much designed to make single people feel bad about being single and married people feel inadequate because they are not romantic enough. Love the idea of celebrating all the different sorts of love in our lives, friends, kids, pets etc. Much more positive and inclusive! These are awesome, Kate! 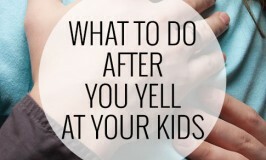 They would be great folding practice for kids, too! Thanks so much for sharing them. 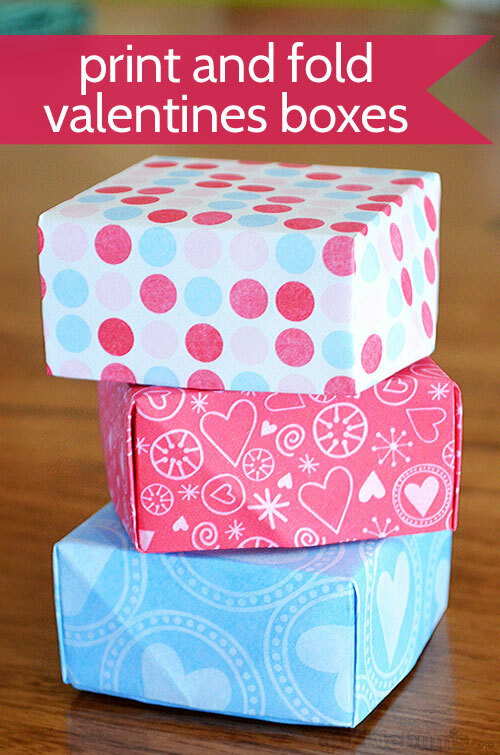 I featured your love boxes as the Free Printable of the Day at the Living Montessori Now Facebook page http://www.facebook.com/LivingMontessoriNow and on Pinterest. Beautiful as always Kate. You really compliment colours so well. Such an adorable little box. 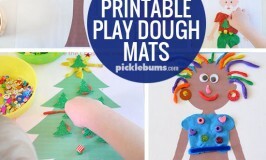 Easy enough my kids could make them! Thanks for sharing!! !